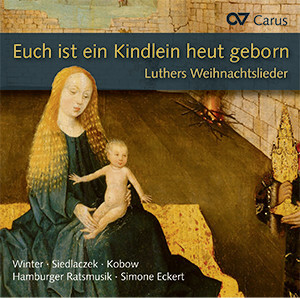 "Vom Himmel hoch" is one of the most famous songs by Martin Luther which is still sung today at Christmas. 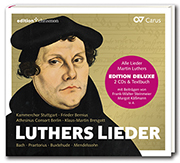 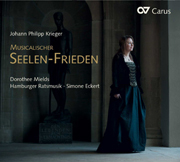 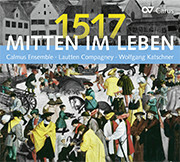 The ensemble Hamburger Ratsmusik under Simone Eckert has recorded this and four other Luther songs for Advent and Christmas in arrangements by composers from the Reformation era. 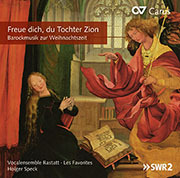 The arrangements of Heinrich Finck and Lucas Osiander to Praetorius captivate through their diversity in different instrumental and vocal combinations. 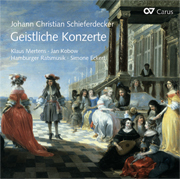 The ensemble is supported by the two sopranos Veronika Winter and Ina Siedlaczek and the tenor Jan Kobow.